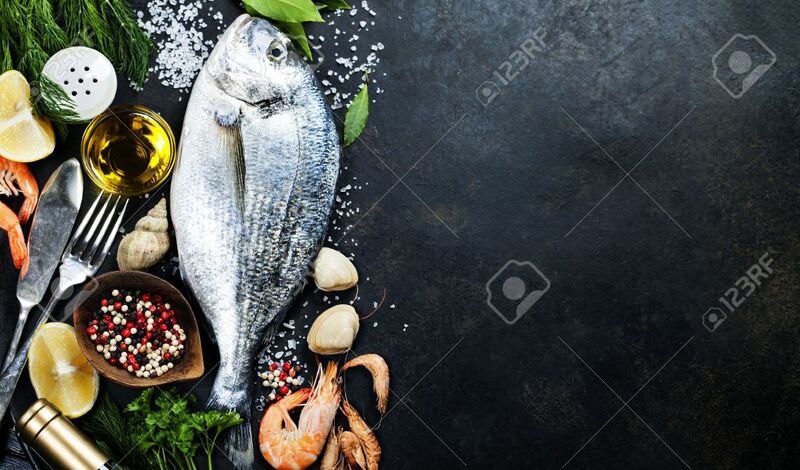 Delicious Fresh Fish On Dark Vintage Background. Fish With Aromatic Herbs, Spices And Vegetables - Healthy Food, Diet Or Cooking Concept 免版權照片，圖片，畫像及圖片庫. Image 35136361.